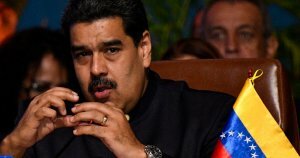 In the midst of Venezuela’s ongoing economic crisis, President Nicolas Maduro has taken yet another controversial step to promote the nation’s very own blockchain-based cryptocurrency, Petro, by offering the Indian government a 30% discount on crude oil prices ‘if’ the Southeast Asian nation agrees to make the exchange via Petro tokens. 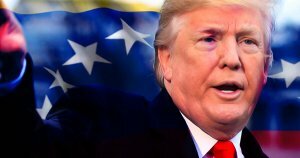 What is being viewed as the nation’s worst ever crisis in recorded history, Margarita Lopez Maya, Professor at the University of Venezuela, points out that a mixture of hyperinflation, severe debt and chronic food and medicine shortages have caused the once wealthy nation to be mired in a slew of financial spirals. When Hugo Chavez came into power back in 1998, the country was embalmed with a sense of hope as Chavez made use of Venezuela’s rapidly growing oil wealth to establish a host of social programmes, known as the Misiones, to help reduce poverty and social inequality. However, since President Maduro was handed the national seat of power, the masses are asking the question “How does a country boasting the world’s largest oil reserves find itself on the brink of economic ruin? India’s dependency on oil is well documented, with the country accounting for around 4 percent of world’s total oil consumption, trailing only behind the U.S. and China. While India’s oil demand has increased tremendously over the past decade, recent price hikes by the Indian central government may force the nation to scale back its reliance on oil importation. If agreed upon by both parties, Venezuela will offer India with a 30 percent discount on crude oil with the condition that purchases be made via Petro, Venezuela’s own cryptocurrency. The South American nation boasts of the largest oil reserve in the world and as per the Business Standard, a group of blockchain experts from Venezuela flew in last month to meet Mohit Kalra, CEO of India’s largest cryptocurrency exchange, CoinSecure. 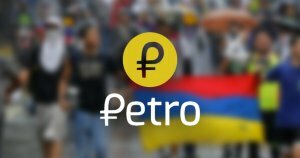 Petro was released to the public via a pre-sale on February 20 earlier this year and within days of this announcement, President Maduro claimed the sale event to have been a success with over 127 prospective nations having expressed economic interest towards the currency. However, many prominent crypto rating websites have deemed the token to be a scam, saying the project is half-hashed and misses critical information related to its core functionality and overall operability.